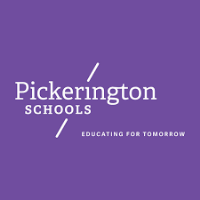 Please join Pickerington Local Schools and the Area Chamber of Commerce in bringing Start with Hello to our community during the week of January 28 – February 1, 2019. If you participated last year, thank you! Let’s continue with our annual support of Start with Hello. This campaign brings attention to the growing epidemic of social isolation within schools and communities across the United States. Start with Hello empowers us to create a culture of inclusion and connectedness by raising awareness and educating our youth and citizens through school activities and community support. We are a welcoming community that cares about its citizens! Please join us in building a culture of inclusion and connectedness. Start with Hello by posting a sign, sharing a flier, and/or wearing green on Friday, February 1. Lastly, if you have a marquee, please add to it Start with Hello during the week of January 28 – February 1.